The crowds keep coming. More and more every day, drawn by rumor and whisper and desperate wish. They come to Shaker Street to see eight-year-old Anabelle Vincent, who lies in a coma-like state--unable to move or speak. They come because a visitor experienced what seemed like a miracle and believed it happened because of Anabelle. Word spreads. There are more visitors, more supposed miracles, more stories on TV and the Internet. But is this the divine at work or something else? Set against the backdrop of the approaching millennium--with all its buzz about reckoning and doom--this impressive debut novel is told through the eyes of Anabelle’s devoted mother, who cares for her child while trying to make sense of the media frenzy surrounding her; Anabelle’s estranged father, who is dealing with the guilt of his actions; the Miracle Girl herself; and the visitors who seek her help, her guidance, and her healing. 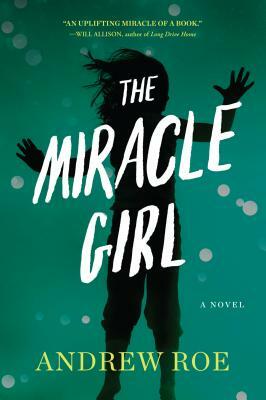 Yet The Miracle Girl tells a larger story about the human yearning for something to believe in, and how finding the miraculous in the everyday can define us, exhilarate us, challenge us, and sustain us. “Incisive and insightful . . . A novel about what it means to be human; to be lost or broken, a little or a lot; and to seek connection and hope and maybe even transcendence in the world around us.” —Doug Dorst, coauthor of S.
Born and raised in the Los Angeles suburb of Whittier, California, Andrew Roe has had his fiction published in Tin House, One Story, the Sun, Glimmer Train, The Cincinnati Review, Slice, Pank, Avery Anthology, Gigantic, Freight Stories, Failbetter, the Good Men Project, and other literary magazines, as well as the anthologies Where Love Is Found and 24 Bar Blues. His nonfiction has appeared in the New York Times, San Francisco Chronicle, Salon.com, SF Weekly, San Francisco Bay Guardian, and elsewhere. An alumnus of the Squaw Valley Community of Writers and Tin House Writer’s Workshop, he has received scholarships from the Getty Foundation and the San Francisco Foundation. Three of his short stories were performed by actors as part of the New Short Fiction Series, LA’s longest running spoken word series. Dan Chaon selected his story “Job History” for the Wigleaf Top 50 Very Short Fictions of 2012, and he has been nominated for the Pushcart Prize multiple times, including a One Story nomination for his story “America’s Finest City.” He earned a bachelor of arts degree in English/creative writing from San Diego State University, and a master of arts degree in literature from San Francisco State University. For over twenty years, he has worked as a writer and editor in the publishing and software industries. A member of PEN Center USA, he currently lives in Oceanside, California, with his wife and three children.